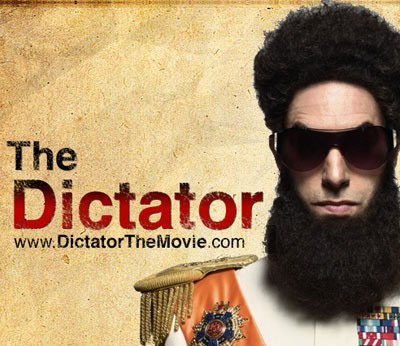 THE DICTATOR: Sacha Baron Cohen Spoof, Movie Teaser! Comedic actor Sacha Baron Cohen plays a vulgar, self-centered dictator of a country he so proudly oppresses. In the latest Paramount Pictures teaser, it shows General Aladeen (Cohen) jokingly stating that he supports “free press, fair elections and equal rights for woman” then proceeds to laugh. During his visit to New York City, his tour guide tells him to visit the Empire State Building before him or one of his cousins “takes it down”. 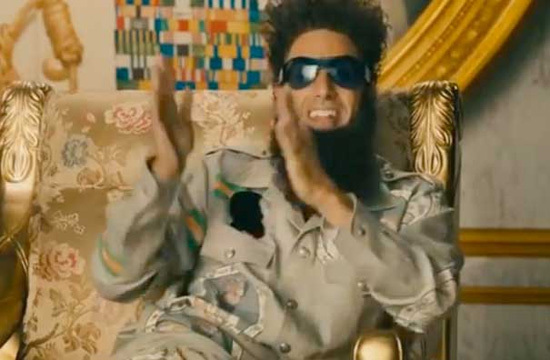 General Aladeen seems to have free reign by doing whatever it takes to get what he wants including winning a race at the “Wadiyan Games” in his country (see trailer video below).